Do you already know the BillyFamily? As part of this family, you’ll profit from many benefits that will help you become a successful Rock The Billy Instructor. We constantly provide you with new choreographies and the right music. You will also receive free promotional material for your courses and discounts on all Rock The Billy products. The BillyFamily unites members from all over the world. Here, instructors can exchange ideas, give each other tips or introduce new choreographies. Use the BillyFamily and become part of a large and international community. Be part of our BillyFamily! As a member of our family, you’ll have access to all of the features that make up the effective Group Dance fitness workout Rock The Billy. You are part of a big community. Only as a BillyFamily Member you have the possibility to teach limitless. You will profit from new choreographies and music on a regular basis. So you always have the opportunity to teach diversified. 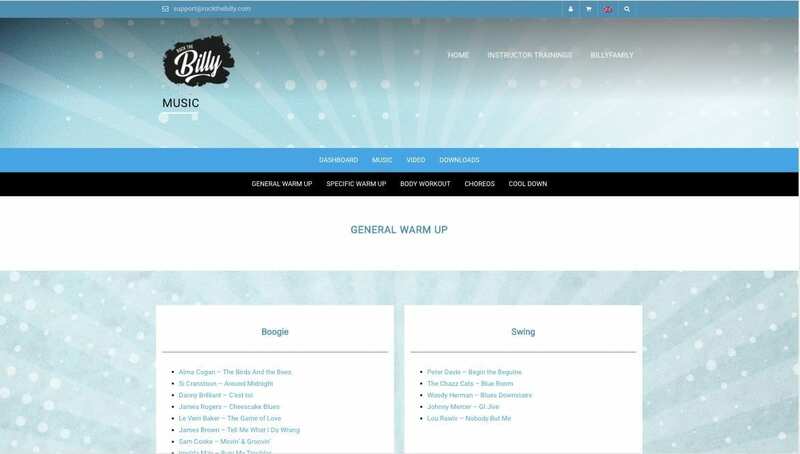 Through BillyFamily you will profit from discounts on Merchandise and other Rock The Billy products. Cool, isn’t it? We provide marketing material for you and additionally you will be displayed on our website to promote yourselfe. As long as you are part of the family, you remain a licensed instructor and do not need to complete any further training to maintain your Rock the Billy license. In addition, you can continue to educate yourself constantly with the materials provided by the family and use our free support.